Almost all carpeting looks great when it's installed, but everyone generally understands that all carpeting will also need to be cleaned regularly and managed properly. This reality does not even take into account that several situations can arise that require prompt and thorough carpet care. The team at We Care Carpet Cleaners has been helping customers handle these difficult situations successfully for years. Below you'll find a few examples of situations that tend to arise that require the immediate attention of professional Ramona carpet cleaners. These problems all require a different approach in order to reach a solution, and if you need this type of help you should contact the team at We Care Carpet Cleaners as soon as possible. Animals that live in homes are rough on carpets for many reasons. Not only will they have accidents on the carpeting from time to time, but they also tend to transfer an odor to carpeting that seems to penetrate the fibers all the way through the floor. Simply put, store-bought pet odor solutions will not work. 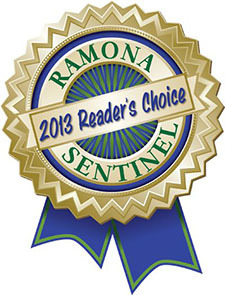 They may temporarily remove the pet odor that exists in carpeting, but professional Ramona carpet cleaners can help to remove these pet odors at their core so that a longer period of odor-free carpeting is realized. Carpeting is meant to be lived on, and an unfortunate result of this reality is that spills will happen from time to time. Many people have heard about or even tried household remedies that may include club soda or other approaches, but much like the store-bought products for pet odors, these ideas will not usually lead to positive results. Professional Ramona carpet cleaners can make use of powerful cleaning products and industrial equipment that will attack a stain at its foundation to give your carpet the best chance to look new again. Aside from the normal wear and tear that occurs with carpeting, there are situations that arise where dirt is tracked into a home or an office and ground into the carpet fibers. No amount of vacuuming or scrubbing will completely remove these stains, and even if the obvious dirt is cleaned out, the carpeting can still look dingy and drab. 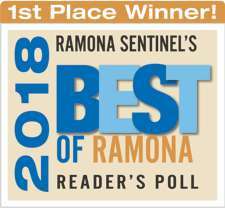 That's because small amounts of the dirt will remain in the fibers, and professional Ramona carpet cleaners can attack that dirt from the bottom up and remove it permanently. Overall, accidents happen and unforeseen situations will arise when it comes to carpeting. 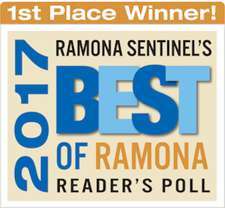 If this has happened to you, seek the help of Ramona carpet cleaners who have earned the loyalty of local customers for many years. Contact We Care Carpet Cleaning today to obtain a quote for the work you need.